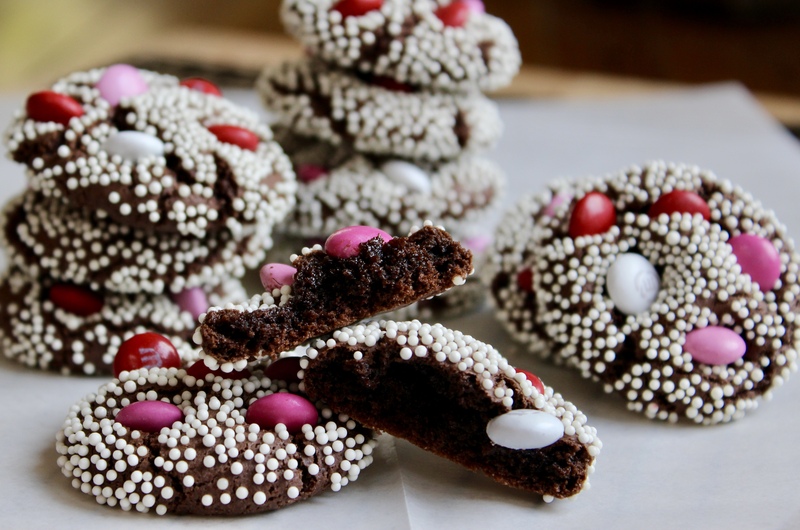 These adorable cookies are so easy to pull together as they’re only 3 ingredients – you take a short-cut with a cake mix! 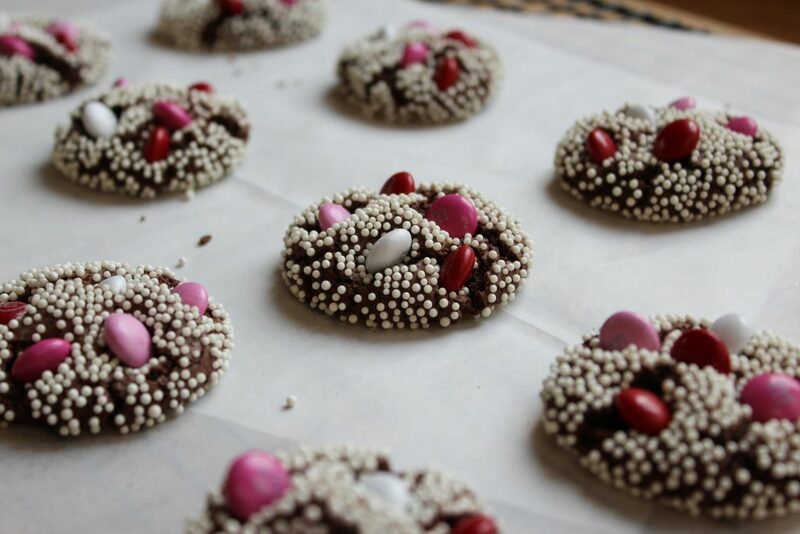 The cookies come out soft and chewy on the inside and you can customize by using whatever flavor cake mix you like! You can add in nuts, chocolate chips or candies. 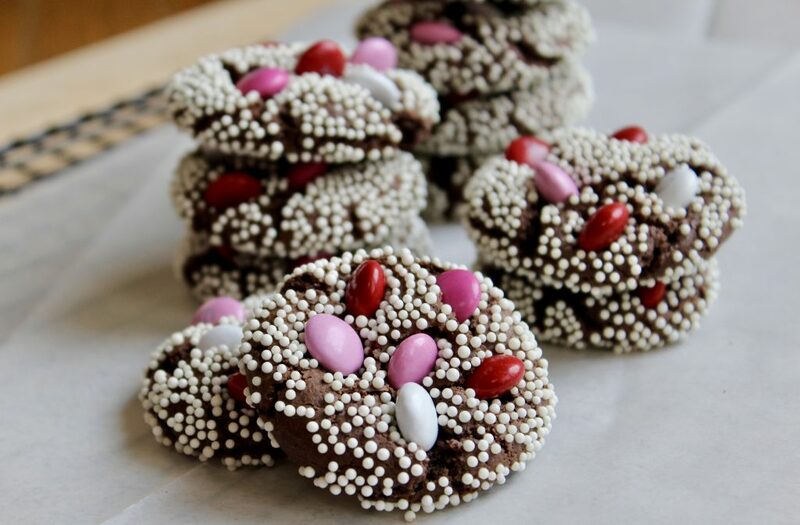 You can roll them in nonpareils, sprinkles or powdered sugar and you can top them with candies, glaze or frosting – the options are endless! 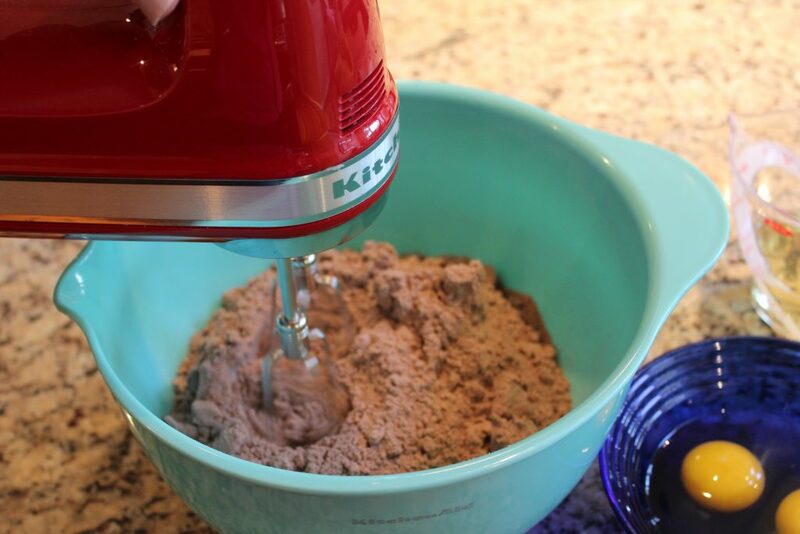 Use any flavor cake mix you like! 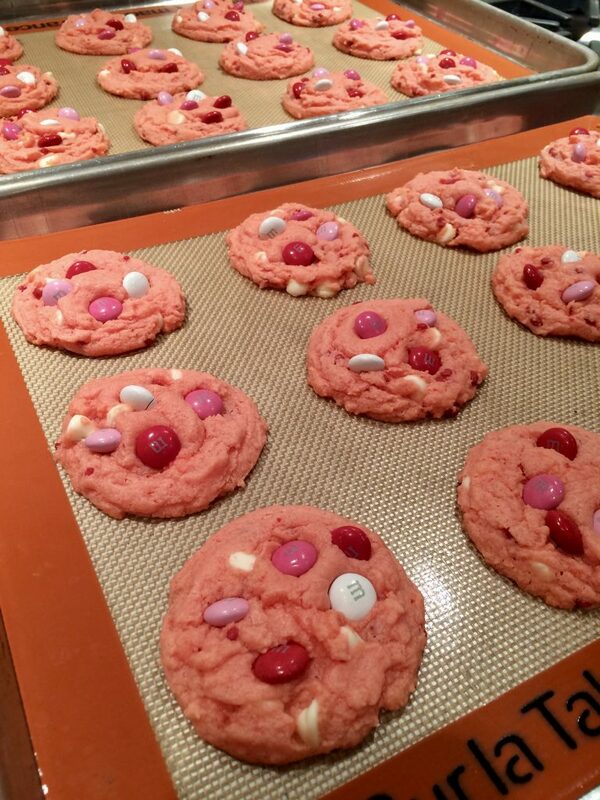 These are strawberry cake mix with white chocolate chips and M and M’s! 3-Ingredient Cookie Batter! 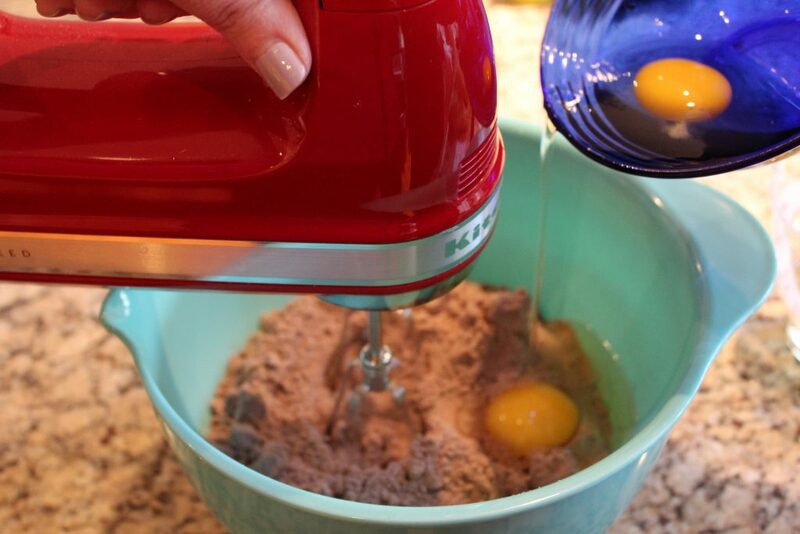 Cake Mix + eggs + oil! The dough is thick and sticky. Finish mixing by hand, then chill the dough for 20-30 minutes. 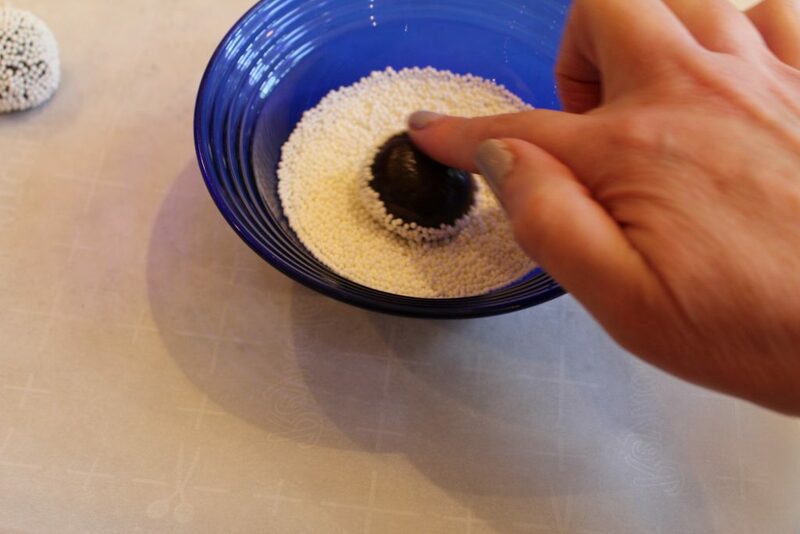 I use a 1-tablespoon cookie scoop to portion the cookies, then roll in my hands. 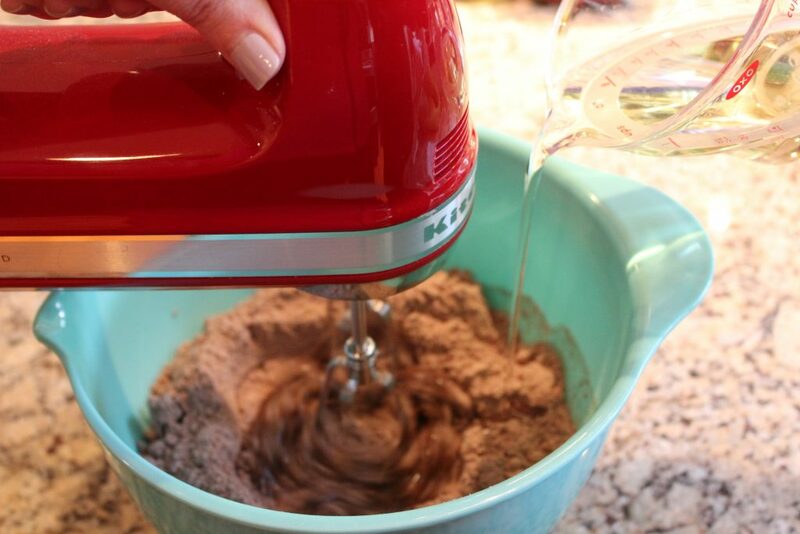 You can spray the scoop with non-stick spray to help the dough not stick. 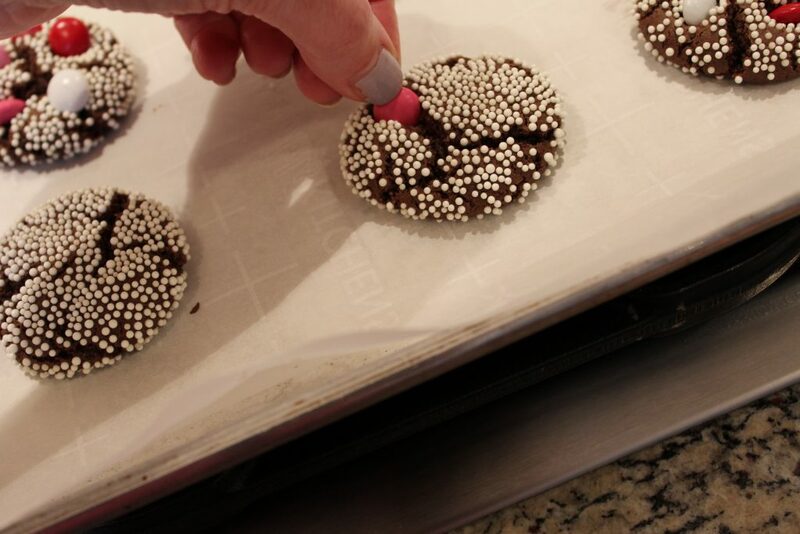 I just roll half the ball in nonpareils and leave the bottom plain. They form beautiful cracks toward the end of baking! In the spring, I want to try using a lemon cake mix and rolling in powdered sugar! I press the M and M’s in after baking. I only bake one tray at a time, so I can get all the M and M’s pressed in before the cookies cool off. 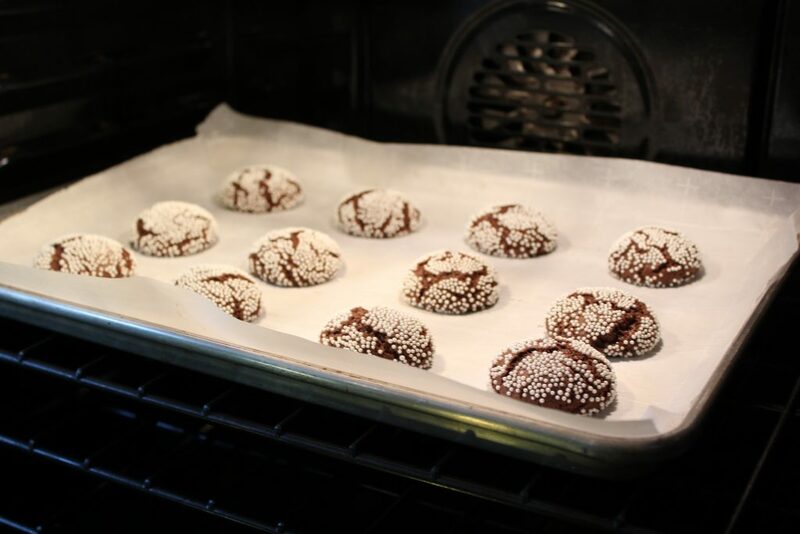 Super quick and easy 3-ingredient cookies! 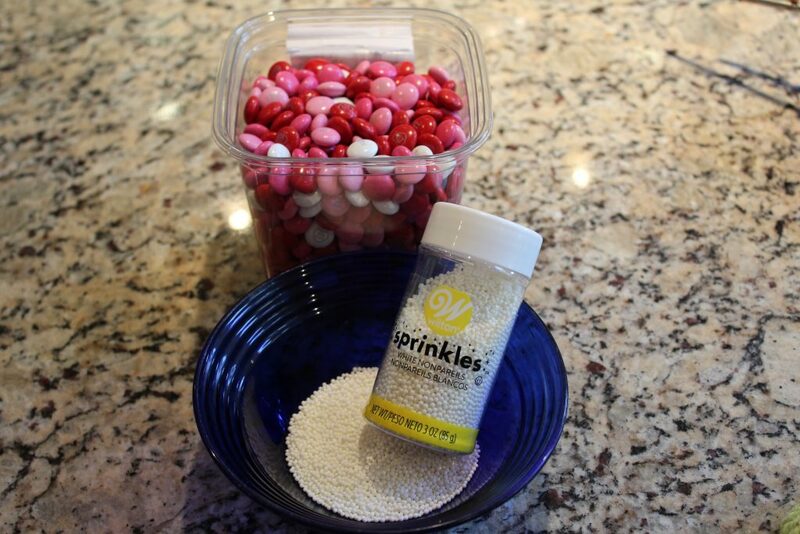 You can use any flavor cake mix and can mix-in, roll-in, top with whatever candies, chocolate chips, nuts or sprinkles you like! They bake up beautifully and are chewy and delicious! 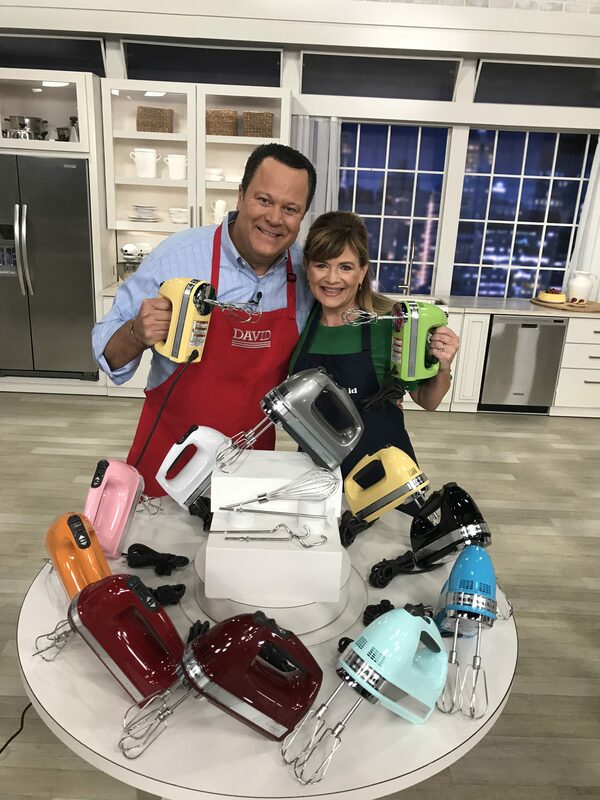 1 15.25-ounce box cake mix any flavor! Preheat oven to 350 degrees. 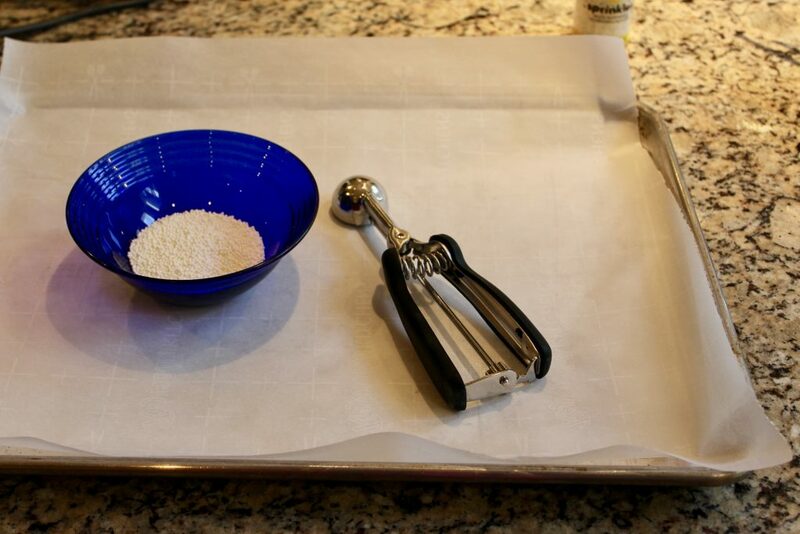 Line baking sheets with parchment paper, silicone liners or grease. Scoop the dough. I used at 1-tablespoon cookie scoop sprayed with non-stick spray. Roll into ball with your hands. Roll in any toppings if desired. Place about 2-inches apart on prepared baking sheet. Bake for 9-10 minutes. The edges and top will be set, the center will be a little soft. Remove and top with any toppings, allow to cool. Store in air-tight container. I made these with a gluten free devils food mix and they were very hard to mold into balls (very crumbly). Any suggestions to help hold the mix together? They were delicious and want to make again. Thank you for any suggestions. Interesting! 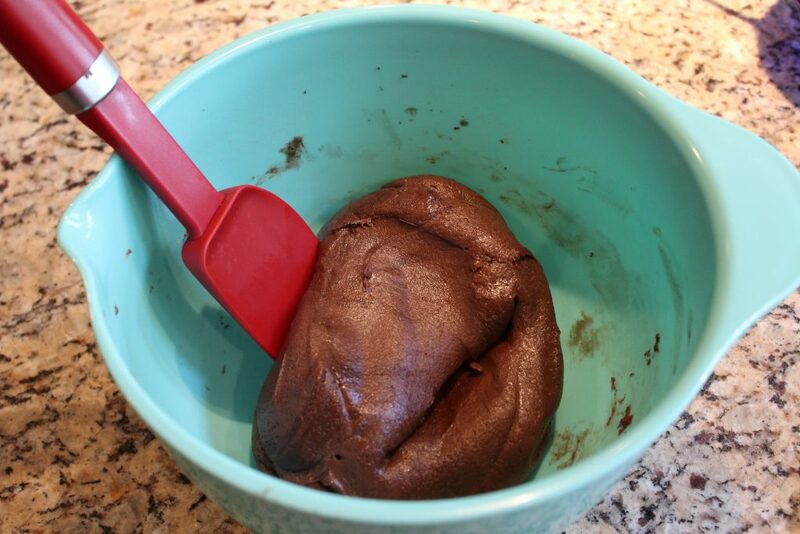 I haven’t tried myself with gluten free cake mix. I know the texture of the mix is different. I wonder if you could add an extra egg white to help hold it together? ?